In 1892, T.O. Williams set up a practice in Grand Rapids with emphasis on surveying, railroad locations, flow surveys for hydroelectric plants, land drainage design, roads, and property surveys. 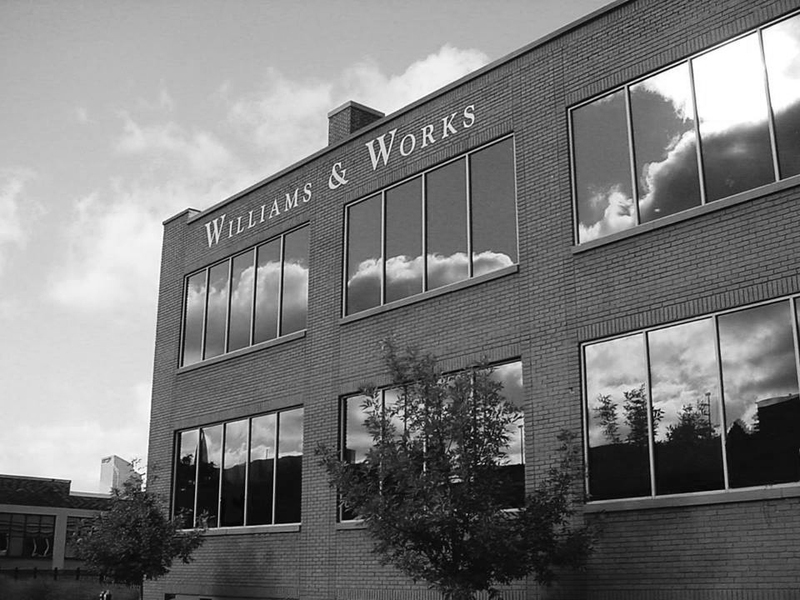 In 1924, the original Williams & Works was incorporated. Over the next 65 years, the firm grew and expanded into many service disciplines and areas. In the early 1990’s the company was purchased and the Williams & Works name was set aside. In October 1995, five former Williams & Works employees plus two others started a new company with the old name of Williams & Works with the goal of carrying on the firm's tradition of service. Our goal was to build a consulting organization that continues the tradition of providing the highest level of service to our clients. With now over 20 years of service to Grand Rapids and the surrounding midwest area, we are proud to say we are doing just that. At Williams & Works, we build relationships with our clients. We work with you, not for you. Being an employee-owned company means that our attention to detail and costs is extremely important. We bring a team approach to our assignments and constantly strive to be more efficient and economical in our business practices. We frequently collaborate to develop multi-disciplinary and creative solutions to complex planning, engineering, and surveying tasks. Our professional engineers work with public and private sector clients to design and assist with the construction of infrastructure projects. Whether working with private developers, the Michigan Department of Transportation, or other entities, our commitment to quality service remains the same. Our state-of-the-art designs always respond to current conditions and are consistent with current regulations and standards. 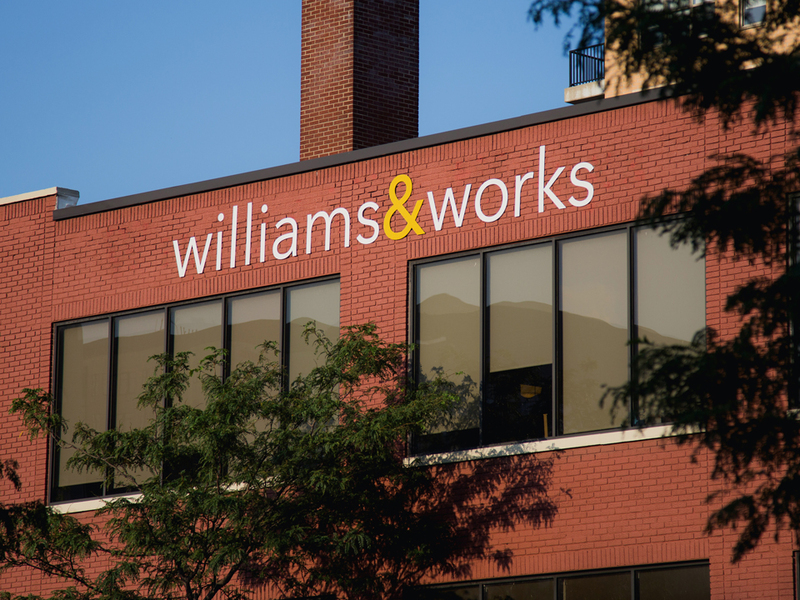 Williams & Works has long been known in the industry as leaders in infrastructure design (we designed Detroit’s first wastewater system), and our sustainable approach to design allows us to develop systems that efficiently meet clients' needs while providing flexibility for future growth. Williams & Works' survey group is comprised of Professional Surveyors licensed in Michigan, Ohio, Indiana, Illinois and Wisconsin. Our support staff of Surveyors in Training and Certified Survey Technicians is able to mobilize on short notice and is experienced in a variety of field data collection methods and drafting software, allowing us to provide deliverable products based on our clients’ needs. In keeping with our tradition of service, Williams & Works is committed to understanding our clients’ needs and providing quality service to meet those needs in a timely manner. Our planners strive to create inviting, sustainable communities. We understand that each community is unique and requires its own tailored approach to planning services. Williams & Works assists municipalities, non-profit organizations, and developers with land use projects and provides the tools needed to accomplish their goals. Our planners are also experienced in the day-to-day application of zoning administration and land use regulations, often realizing the ramifications of key policy decisions before they are enacted. With a thorough understanding of public and private sector economic development goals, we also work with communities to attract new industries, re-develop traditional downtowns, and obtain funding to support job growth. 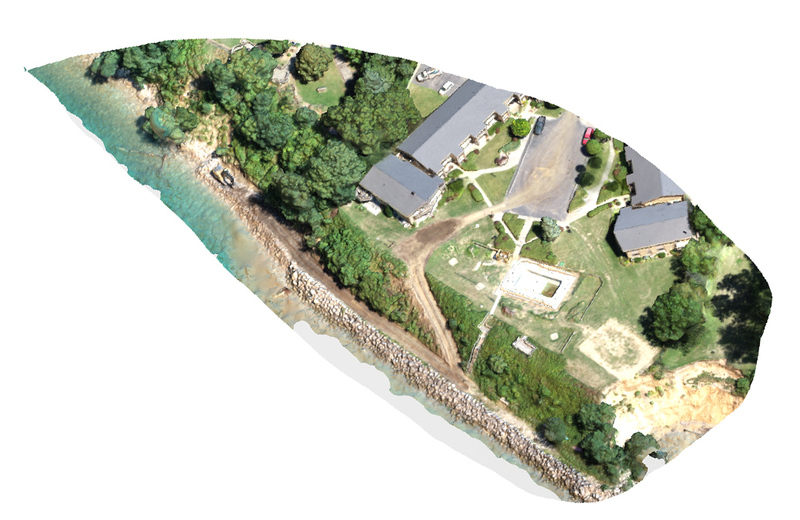 Williams & Works uses Unmanned Aerial Systems (UAV) to capture high-resolution photos to create orthorectified images, 3D point cloud data, 3D models, and digital elevation models. We are also using this technology for inspection purposes capturing video, and photos of construction progress. This data can be quickly acquired using UAV’s (drones) at a minimal cost compared to traditional methods. Pictures can be acquired on site, processed, and then reviewed on a web browser, or output files used in programs such as Civil 3D or Revit. Volumetric surveys of gravel pits, landfills, or stock piles. 3D mesh models of a project area to assist in planning or design. 3D point could data for engineering purposes. Inspection or construction progress monitoring. Projects on which Williams & Works is acting as Engineer, and which are being bid locally, will appear here. Lincoln Charter Township is soliciting sealed proposals for the Glenlord Beach Park Improvements - 2019 project. Items of work include pavement removal, demolition od existing wood structures, new concrete paving, retaining wall, curb & gutter, landscaping, site furniture. Sealed proposals will be received by Lincoln Charter Township at the Lincoln Charter Township Hall at 2055 West John Beers Road, Stevensville, Michigan 49127 until 10 a.m. local time on Tuesday, January 22nd, 2019 at which time they will be publicly opened and read aloud. Contract Documents are available for viewing only at our office located at 549 Ottawa Ave NW, Grand Rapids, MI 49503. If you have any trouble accessing these Contract Documents or using the online registration form, please contact (616) 988-3507 for assistance. We put great stock in the staff we hire. We offer a competitive salary and benefits package, a casual work environment, and as an employee-owned company, an opportunity to participate in the overall business management of the firm. Actively participating in business development activities including research of potential market and project opportunities. Preparation of work scopes and budgeting, taking part in project interviews. Bachelor's Degree in Civil Engineering from an ABET accredited institution. 10+ years of professional design experience including roads, stormwater, water distribution, sanitary sewer collection, and site grading. To apply, please contact us with your cover letter, resume, and references.